Nobody wants insects in their home or business! 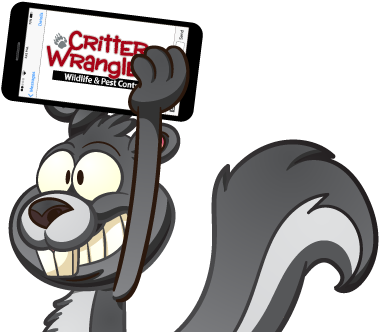 Critter Wranglers understands the need to quick and accurate Ground Beetle Control. We have over 3 decades of experience in eradicating unwanted pests from homes, we can help! The ground beetle is usually long and elongated bur can vary in shape and size. Most ground beetles are black or dark in color and range in size from 2-25 mm. Some ground beetles have an iridescent hue and can look metallic. Their bodies are divided into 3 distinct sections; they have 3 pairs of legs and 2 pairs of wings. The outer wings are hard and provide a protective shell. They can scurry quickly if threatened or startled. They commonly feed on other invertebrate pest such as; ants, maggots, and worms. They have been known to eat as much as 4 times their own body weight. Ground Beetles do not pose a threat to humans or property but some beetles do release an odorous secretion. They would prefer to live in soil but are very attracted to bright light and are sometimes lured into homes or garages that way. Contact Critter Wranglers today if you are in need of Ground Beetle Control. Whether it’s a one-time removal of a nuisance pest or you’re in need of a monthly pest control service, we’ve got you covered. With over 35 years of experience there isn’t a wildlife, rodent, or pest problem we can’t handle. We serve private residents, commercial spaces, and municipal accounts in the Greater Knoxville Area.